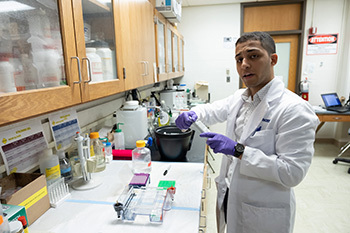 Since early May, a group of six undergraduate students has been looking into the causes of various eye diseases – like glaucoma, cataracts and retinitis pigmentosa – during Oakland University’s Summer Undergraduate Program in Eye Research (SUPER). The students presented their research at a public symposium on OU's campus. 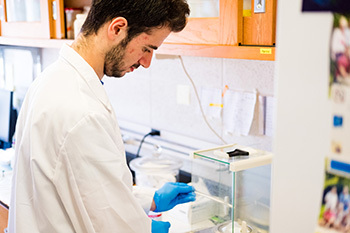 This highly selective 12-week program allows students to perform research with guidance from faculty members in the university’s Eye Research Institute (ERI). Using the latest scientific methodologies and equipment, students spent 30 hours per week conducting lab experiments and attending a weekly Vision Science seminar given by ERI and Beaumont Ophthalmology faculty. The students also receive a research fellowship, as well as training in professional speaking and presentation. Obadah’s research explores the correlation between the expression of the PS6 cell marker and proper retinal function. Among other functions, the retina allows the eye to see color and in low light. Peter’s research investigates how alpha crystallin proteins in the eye’s lens contribute to the formation of amyloid fibrils. Amyloid fibrils are protein aggregates that have been linked to many diseases, including dementia, Alzheimer’s and Parkinson’s disease. 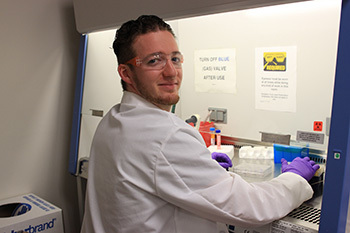 Dominic’s research examines the role that alphaA-crystallin protein plays in the formation of cataracts, a condition in which the eye’s lens becomes cloudy, resulting in blurred vision. Cataracts are a leading cause of vision loss. By age 80, more than half of Americans either have a cataract or have had cataract surgery, according to the National Institutes of Health (NIH). 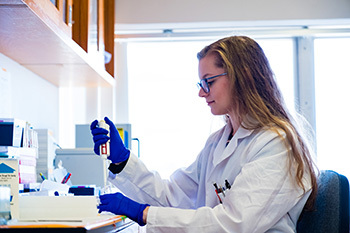 Kaylee’s research looks at how the growth factor VEGF can impair intercellular signaling. This can lead to retinal diseases such as diabetic retinopathy, which according to the NIH, is the most common cause of vision loss among people with diabetes and the leading cause of vision impairment and blindness among working-age adults. 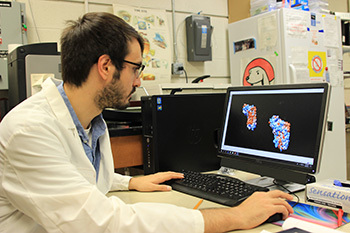 Christian’s research uses computer simulation to gain insight into how the peripherin-2/rds protein functions in the eye, with the goal of using that knowledge to craft new research experiments. This protein is believed to play a role in structuring the photoreceptors that support retinal function. 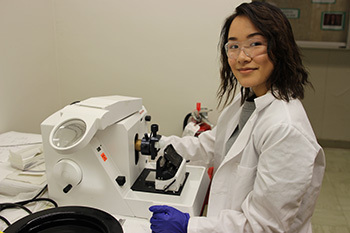 Sharon’s research focuses on a mutation of the Peripherin-2/rds protein which causes photoreceptor death in the retina. The death of photoreceptors leads to vision loss.